Staten Island Moravians work together on a variety of projects (called Moravians in Mission) to meet practical needs we see in the world around us. These projects draw upon energetic volunteers from all four Moravian churches as well as non-Moravians, individuals and groups. At Great Kills Moravian Church, we have a number of women who knit or crochet shawls for those who are in need of comfort, or those who are celebrating something new. 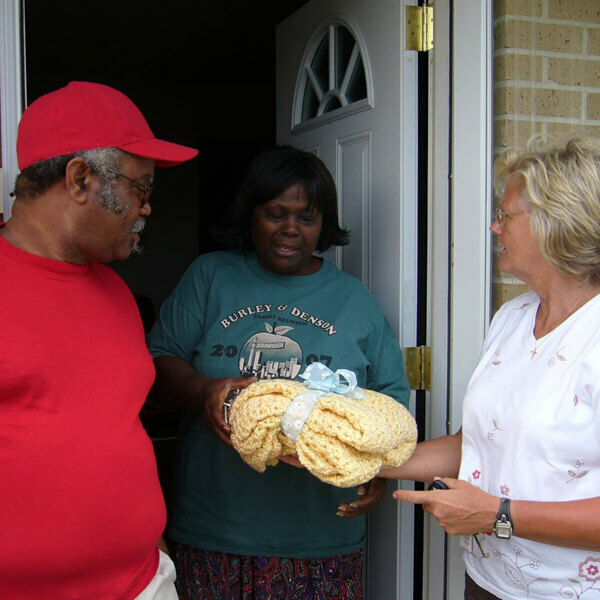 If you, a family friend, or a neighbor would like to have a prayer shawl, please Contact us.